Not everywhere is summer slump. 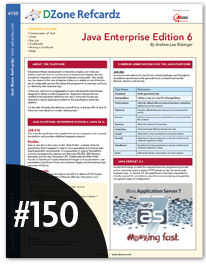 The JBoss guys are hard at work (as always) and Andrew Lee Rubinder (@ALRubinger) published a new Java EE 6 DZone Refcard today. 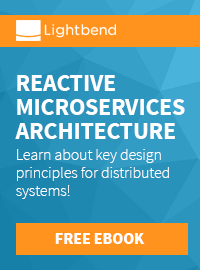 It's your quick and handy guide which provides a short intro about the Platform, Common Annotations For Java, Java Servelet 3.0, JavaServer Faces 2.0 and Enterprise JavaBeans 3. You can get your copy directly from DZone. It's free to view online and you can download your personal PDF (2,51 MB) free of charge, if you have a DZone account. DZone Refcards are free Cheat Sheets for Developers which save you time and guarantees that you stay well-informed. They are written by bestselling authors and leading experts and provide reliable information on major developer topics.Filled with useful tips and source code examples the downloadable PDFs look great on-screen or printed from your printer. Andrew Lee Rubinger is an Open Source Software Engineer and Author. Most of you will know him for his book “Enterprise JavaBeans 3.1" from O’Reilly Media. But he is also a Member of the JBoss Application Server development team and technical lead of the ShrinkWrap project. Tired of Getters and Setters? Lombok them!